Human Rights are not negotiable! The right to asylum is one of the core Human Rights, given that its purpose is to protect the very people who have been deprived of their Human Rights before. 1.) Expulsions onto Serbian territory, so-called push-backs, violate the principle of “non-refoulement” (part of the Geneva Convention; Art. 3 of the European Convention on Human Rights), as well as the right to asylum, especially the right to a fair asylum procedure. 3.) The physical violence perpetrated by Hungarian, Croatian and Slovenian police establishes grounds for the initial suspicion of torture (presumably for the purpose of deterrence) and cannot be justified by any means. These practices are an infringement of Art. 5 (Prohibition of torture) of UDHR and ECHR, Art. 3. Confronted with these allegations, Hungary’s Ministry of Interior “wishes to draw attention to the fact that the Hungarian police protect the borders of the EU and Hungary”. (http://www.balkaninsight.com/en/article/police-violence-against-refugees-on-balkan-route-12-08-2017) In this way, the protection of EU borders is used as legitimation of clear Human Rights abuses. Hungary’s Ministry of Interior has justified the documented acts of violence with the “protection of European borders”. Facing this statement, all EU countries have the obligation to act against Human Rights violations for the “protection of the EU”) – otherwise, the European community becomes complicit in these crimes. We call on the governments of all Member States and on the Human Rights organs of the Council of Europe not to tolerate this behavior and use all available political means to ensure that no more Human Rights are violated by EU Member States in the future. Every state has the right to protect its external borders. How the right to asylum is implemented may differ from country to country. However, the core of the right to asylum must never be up for discussion. Every individual has the right to a fair asylum procedure. Accepted refugees must be given shelter and protection in humane conditions. From the start of January to the end of November 2017, a total of at least 110 incidents of illegal push-backs were reported. However, since we can only document experiences of the people we meet in person during our activities on the ground, the real number must inevitably be much higher. Also, the following statistics are influenced by dynamics in the documentation and cannot be fully representative of the phenomenon. 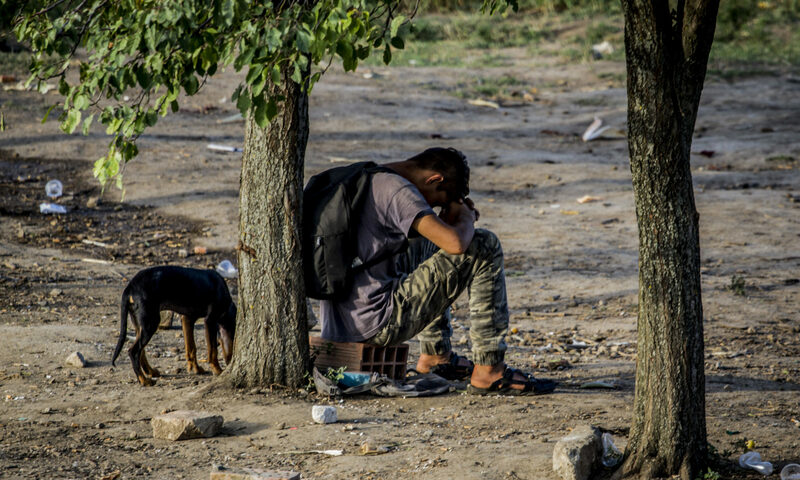 In total, a staggering number of at least 857 individuals suffered illegal expulsion and police violence such as beating, kicking, electric shocks and even dog bites, were deprived of their belongings including their clothes, and forced to wait for hours at below-zero temperature. In at least 52 of cases minors were involved, while 34 reports do not give this information. In a minimum of two thirds of the documented incidents the will to ask for asylum was explicitly expressed – which in every case was answered with the forceful expulsion of the people seeking protection. Most of the violent acts (76) took place on Croatian territory and were perpetrated by Croatian police, whereas 16 cases were reported from Hungary and 12 from Slovenia. 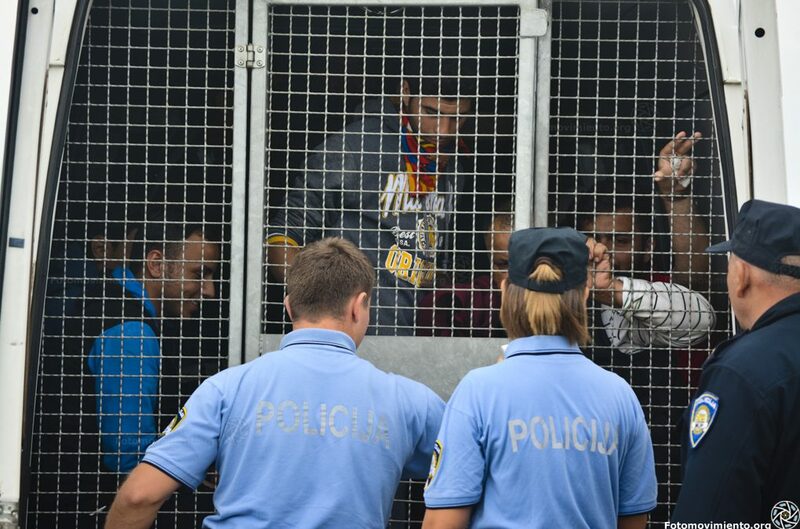 In the latter, Slovenian police usually worked together with their Croatian equivalents to create ‘push-back chains’ in which refugees were handed over to Croatian police which deported them back to Serbia, often beating them again upon release. While not all reports contain information on the affected person’s nationality, at least 289 people hail from Afghanistan, 116 from Pakistan and 123 from states of the Maghreb. Other nationalities include Bangladesh, Iraq, Syria, Palestine, and Cuba.